I love fall walks in the woods! The air is crisp and clear. The trees shed their spring and summer clothes and brave the impending winter in their barebacked birthday suits! 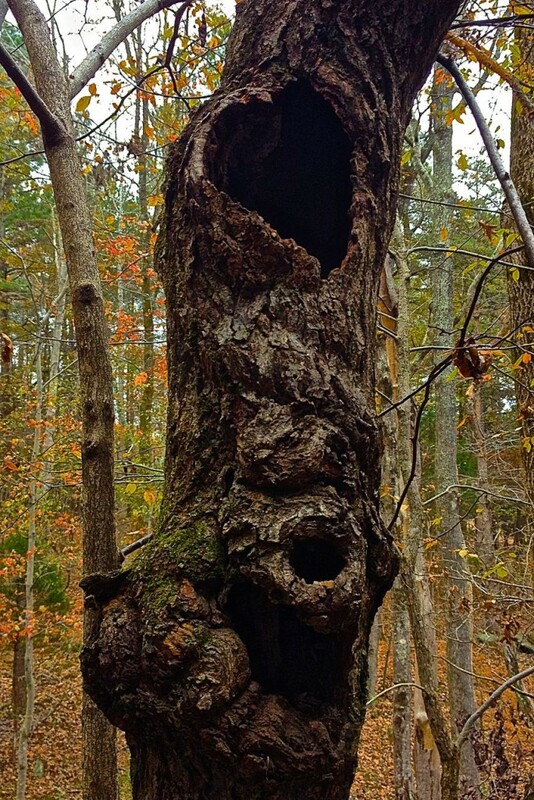 Just as faces appear on their roots, so do many faces and images appear on their bark! This image of a squirrel protecting his hole for home and winter scavenges particularly grabbed my attention. And a squirrel’s home tree is certainly where his heart is as the nature carving above his head suggests. Who needs to paint when nature does all the art we could possibly need! Hopefully, the squirrel just ‘pops’ out and reveals himself to anyone who reads this! It’s up to the eye of the beholder! I invite you to ‘behold the squirrel! 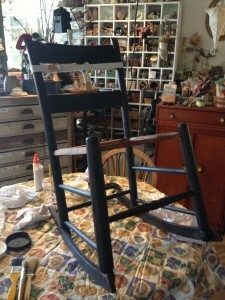 Weaving Wild Wonderful Chair Bottoms Workshop! Feels so good to be back on MossWhispers! I’ve been busy going through old teaching files, and shedding a few skins in the Studio to make more room for Wild Workshop times! 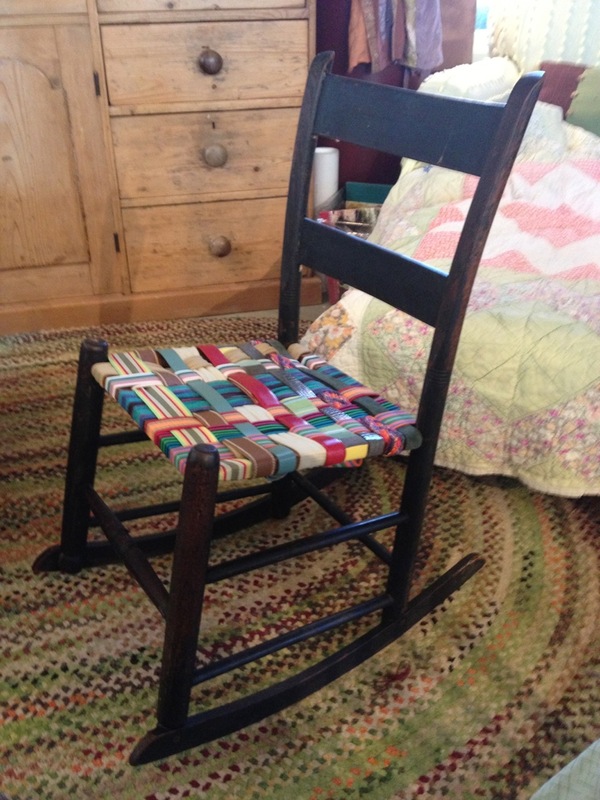 Today was November Workshop #2: Weaving Wild Wonderful Chair/Stool Bottoms with old belts or neckties. I’ve not been one to spend much time advertising workshops, so I attendance is small. This seems to be a gentler way for me to start… and definitely allows more one on one fun stories and connection time! The greatest thing is that it becomes more of a shared project time! This workshop participant brought an old rocker that belonged to one of her grandmother’s. When we took off the last of the very old caning rope, the chair began to ‘fall apart’…so gluing and clamping became our first priority! The caning had been what had held the chair together. Then cleaning and waxing the wood with a non-toxic beeswax. 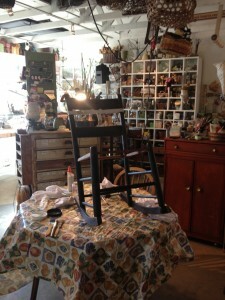 Probably the most fun was sharing and weaving stories together as the chair bottom began to take shape. I’m so proud of her work of art! And it was fun to relearn the art along with her! 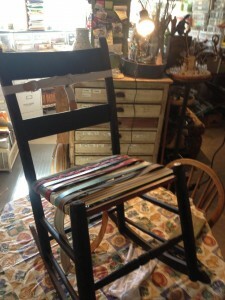 And her Granny Chair definitely has a whole new spirit and stylish seat! The belts do a great job at holding Old Granny Chair together! A much better use of belts that around the waist!